Uber CEO: Softbank deal, Waymo settlement were about "peace"
Two of Uber's recent deals — an investment from Softbank and settling its lawsuit with Waymo — were about keeping "peace in the kingdom," said new CEO Dara Khosrowshahi on Wednesday at Goldman Sach's tech conference in San Francisco. Big picture: Khosrowshahi's job so far has been clear: eliminate as much drama from the company as possible. The Softbank investment in particular, was about providing liquidity to early shareholders and paving way for important governance changes that have been overdue. "They were very knowledgeable about the space,” he said of Softbank, which had already invested in ride-hailing companies like Didi Chuxing in China. "I think that Softbank is very smart, deep-pocketed money,” adding he'd rather have the company as an ally than a competitor. "They are looking at a lot of adjacencies around electrification, batteries," and so on. 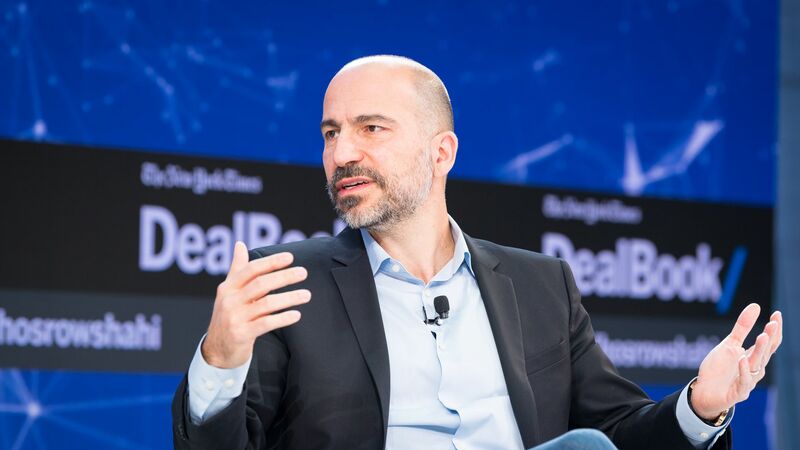 Uber has bigger transportation ambitions than just ride-hailing: "Cars to us are what books were to Amazon," Khosrowshahi said of the Seattle giant.